BOISE, Idaho — Boise State University announced on Monday that they are reconsidering joining the City of Boise and Greenstone Properties' efforts to build a stadium near downtown Boise. The announcement adds a new wrinkle to the proposed sports park saga. Initial plans were first unveiled in 2017. Joe Nickell, the Boise State associate athletic director, said in a statement that working together "could provide the financial and logistical incentive." Boise State was originally part of the efforts to build the stadium but school officials decided in October 2017 they wanted to build their own baseball stadium on campus. The university bought two adjacent properties where they were planning to build their own baseball stadium in December 2018. They have not started construction. Two months ago, Curt Aspey, the Boise State athletic director, announced that their own baseball stadium won't be ready for the baseball team's opening season in 2020. Later, the university came to an agreement with the Boise Hawks minor league baseball team to use Memorial Stadium as their home field in 2020. "Boise State leaders examined the factors that could make the joint effort a feasible choice for the university — including partial ownership, priority use, artificial playing surface and shared revenues," said Nickell. For now, however, Boise State officials are still working toward building their stadium. Boise Mayor Dave Bieter said Boise State's involvement could make the proposed stadium a reality. "We are pleased with Boise State University’s renewed interest in being part of the Boise Sports Park," he said in a Monday press release. "The time is right for such a project and we believe the university’s participation will make it more dynamic and could be the difference in it becoming a reality." No agreements have been made official between the university, the city, and developers. On April 9, Idaho Gov. Brad Little signed House Bill 217 into law, which would require cities that use public urban renewal funds to build new buildings, renovate existing city buildings, or sports parks to get public approval. State legislators previously told KTVB the impact of that new legislation is undetermined. 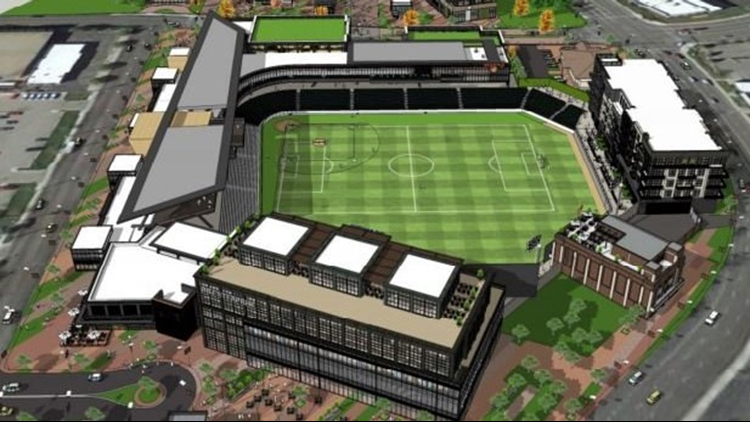 Who foots the bill for the proposed Boise Sports Park?